Visiting Franciscan Winery was a delight and included a purchase of a bottle of port. Although this is not what the winery is known for it was a great product and something worth trying during your next visit. The location is large and the tasting room is a great place for a big group visiting Napa. 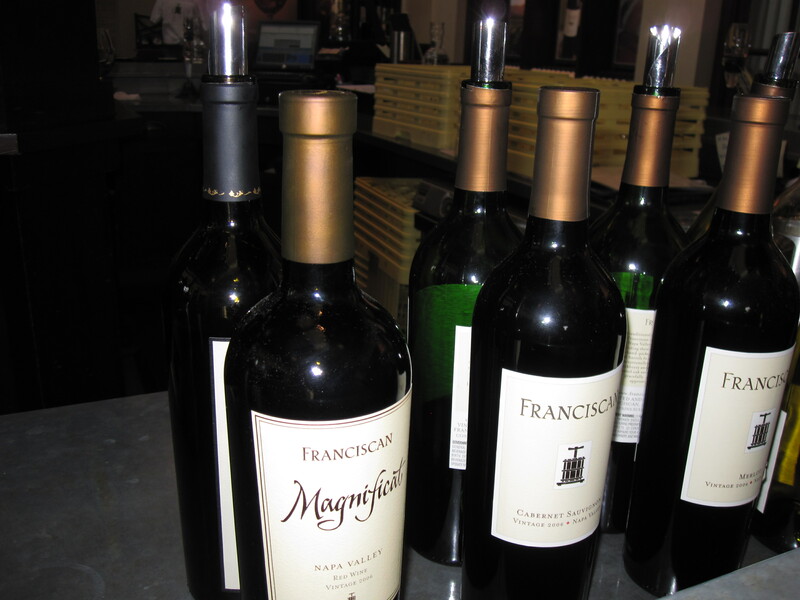 Located in Napa Valley, Franciscan Estates Winery has been making quality wines for over 30 years. The company was founded by Justin Meyer and Raymond Duncan. Today, Janet Myers and Agustin Huneeus oversee most of the small-batch production. Janet Myers got her feet wet in wine production at the world-renowned Robert Mondavi Winery. Guests may visit the Franciscan Estates visitor center daily unless it is a major holiday. Wine tasting is available starting at $15 per person. Guests can attend a session on a drop-in basis for small groups and by appointment for larger groups. The winery gives a discount for tasting parties of 15 or more participants. The estate is also open for tours. The Franciscan Estates Winery offers the Vine Wine Club, which features free tastings and access to other members-only benefits and events.